Hi! Thanks for your interest in the Barn to Yarn experience! I am so excited to offer this to fiber people, because to add a face to the fiber is so important to so many fiber artists, and I simply love to share the farm, my love for fiber, and the knowledge I have accumulated over the years. Anyone who follows me on social media will have seen me use the hashtag #barntoyarn … well, now I want to bring it to life. 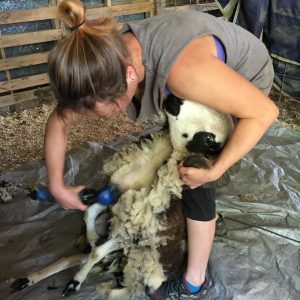 I am offering a limited number of opportunities to come to the farm, choose your fleece ‘on the hoof’, help me shear it, and then, depending on what you’re interested in, we can process it, dye it (I am a Redding Method certified teacher), card it, blend it, spin it, right here on the farm – all in one spectacular BARN TO YARN experience! These days are specifically tailored to you, what you want and what you want to learn, so your Barn To Yarn experience is all about YOU. Not a spinner? 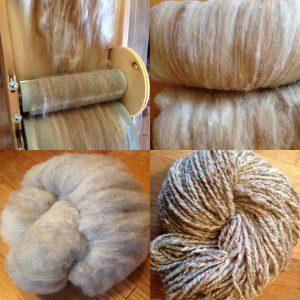 I can offer spinning lessons or custom spinning of your fleece into the yarn you want for the project you have in mind. Spinner but not a knitter / crocheter? I can make your yarn into the item of your choice, just choose your pattern! Gather some friends together and come as a group! I can accommodate up to six people at a time. Want to make a little vacation of it? Spend a couple days immersed in fleece? Message me – we can work that out too. We’ve had visitors from as far away as Oklahoma! 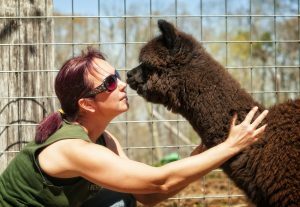 Fleeces available will include but are not limited to: Navajo Churro, Icelandic, Icelandic x, Jacob, Mohair, Pygora (type A), and both Suri and Huacaya Alpaca. Not all fleece will be available at all times, but you are welcome to request pictures and reserve a fleece. Poppy Creek Farm, the home of Barn to Yarn, was established in 2009, and has gradually morphed into what it is today.We sit atop Sand Mountain in Northern Alabama, on just under 90 acres.